We’ve always believed that our company should be operated with integrity. With us, your project is our number one priority. We treat our customers with the utmost respect, and each project is completed not only quickly, but with the highest possible level of excellence. 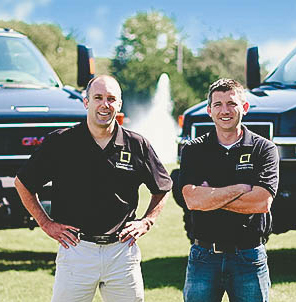 We were developed from a calling to create a God-centered construction company. We are committed to providing the most innovative and advanced building systems, while maintaining the absolute highest level of customer service. We know you’ll agree that Cornerstone Construction is reliable, dependable, and affordable. We will provide the highest quality structure delivered with the highest level of integrity to the honor of God. We'd love to work with you! Tell us what project you're working on!